It wasn't too long ago that The New Mutants, a film I was really interested in seeing, moved almost a full year from its April 13, 2018 release date to February 22, 2019. It was said this was done so that the movie could undergo major reshoots and so that they could add a brand new character. Once this news broke, any interest I had in the film instantly dropped. A movie doesn't move almost a full year if it doesn't have major problems, and I wasn't confident that Fox would be able to adequately fix the problems in order to give us a good movie. But I've still held out hope for X-Men: Dark Phoenix. It's the next installment in the X-Men proper series, taking place in the 1990's. It's the directorial debut of long time X-Men screenwriter Simon Kinberg, which has me nervous for the movie. It's never a good idea to have your first film as a director be a big blockbuster like an X-Men movie. 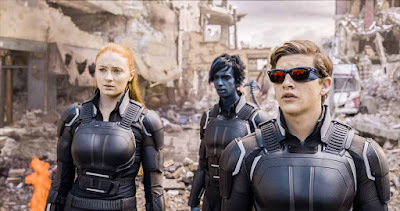 However, Kinberg does know the world of X-Men better than most, so that does help the situation a bit. 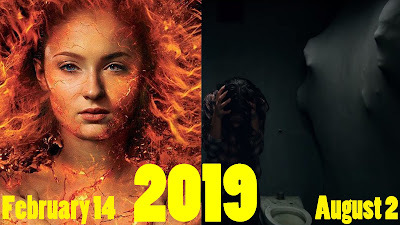 But now my faith for Dark Phoenix has been seriously shaken, as it has been officially moved from its November 2, 2018 spot to February 14, 2019. The New Mutants has also moved again from February 22, 2019 to August 2, 2019. The shift for Dark Phoenix is not as concerning as New Mutants' initial move was, but it still should raise a few eyebrows. It makes one consider if there are complications arising in post, especially with this being Kinberg's first movie. If they had a more experienced director behind the camera, I wouldn't be as concerned as I am now about this move. But it's hard to give the film the benefit of the doubt. Now, if you want to play the role of the optimist, you could look at this as Fox trying to capitalize on the February box office, a market proven to be hugely successful for Deadpool and Black Panther. Fox could have seen those numbers and decided that Dark Phoenix would have a better chance at being a smash hit in February than New Mutants, and thus moved it. That could play a role, however I think the more likely answer is that there are post-production issues they need to work on. Or it could be a mixture of both. As for New Mutants moving again, it does nothing to ease my fears that this movie will be a hunk of garbage. Again, to play the optimist, this could be seen as Fox trying to use all their resources in order to fix the movie, but there's no guarantee it will work. With all this work being done on New Mutants, I think it's more than likely that it will end up being a complete mess. Overall, these shifts only make me more nervous for X-Men: Dark Phoenix and The New Mutants. However, there is still a chance that these delays will end up working for the betterment of the movies. We'll have to wait and see how they turn out. What do you think? What do you think of X-Men: Dark Phoenix moving into 2019? Does it make you any less excited for the film? How about The New Mutants moving back a few more months? Can it be salvaged? Leave your thoughts in the comments section below.